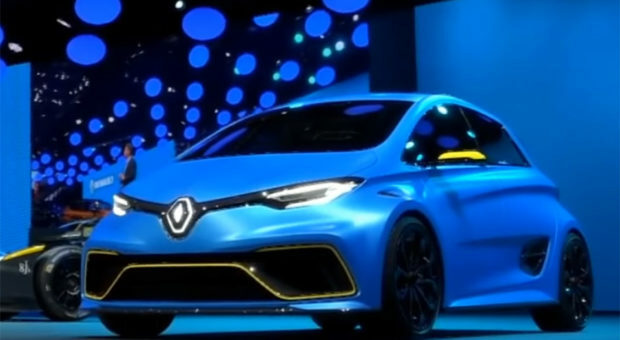 Renault is one of those brands that makes cool cars that we never get here in the US. At the 2017 Geneva Motor Show the company had its press conference and unveiled its new line, and the little blue ZOE e-Sport Concept car sitting there with the F1 car looks awesome. 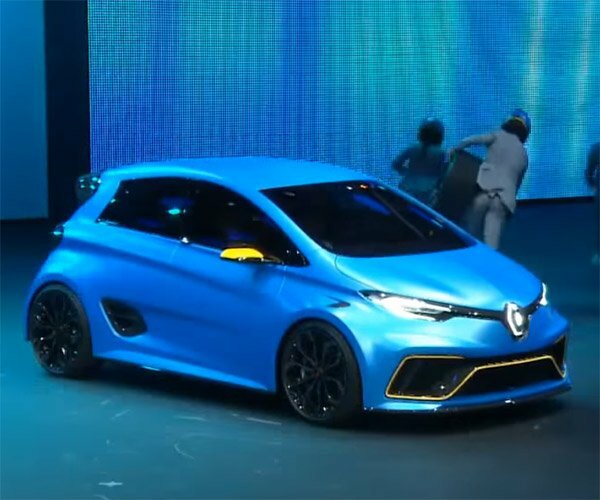 The all-electric, carbon fiber concept weighs just 3,086 pounds, can do 0-to-62 in just 3.2 seconds thanks to its crazy 460 horsepower drivetrain. Never mind that sweet looking matte blue paint. I’d totally get behind driving one of those cars if I could. If you didn’t get to go to the show and you want to know what Renault is cooking, check out the video. The video spans 14-minutes, but if you like to see cars you will never get to drive in the US it’s worth a watch. I want that little Blue swoopy sports car badly, I love the intake in front of the rear wheel.